Racism is a major social problem in many nations today. A review of the writings of prominent modern racists, focusing on David Duke, finds that Darwinist ideas were critically important in developing and maintaining their racist ideas. David Duke, the most prominent racist in America today, heads the largest white supremacist organization in the world. His influence can be gauged by the fact that he was elected to serve in the congress of the state of Louisiana. His extensive writings about the central influence of Darwinist ideas on the development of his racist views are reviewed in this paper. From Wikipedia.org, the free encyclopedia. 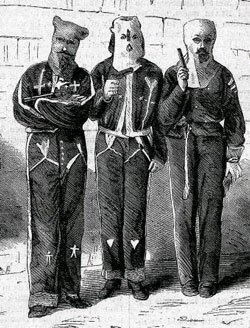 An artist’s impression of three men in Ku Klux Klan disguises who were captured in September 1871 in Tishamingo County by US Attorney G.W. Wells, and assisted by US Marshall J.H. Pierce and his deputy John M’Coy. Duke was reared a Methodist (his father was a Sunday school teacher), and later attended the Church of Christ.5 When race became an area of serious study for Duke, he no longer relied upon the Bible, but, instead, relied on science, specifically Darwinism. To learn ‘how racial differences originated’, he had to study evolutionary theory in detail.6 In his autobiography, Duke details his early religious upbringing, and why he rejected certain Christian teachings, specifically Genesis and creationism, and the ‘single origin of the races from Adam’ teaching. Duke’s father, a geologist, tried to reconcile evolution with Christianity by concluding that evolution was the means God used to create life. This background set the groundwork for Duke’s later acceptance of Darwinism. As he read more and more on ‘the scientific issue of race’, he became torn between his religion and science.9 Duke was doing his research on Darwinism while he was attending a Church of Christ school in New Orleans. As a result of his study of evolution, Duke openly challenged his Sunday school teachers by discussing his evolving ideas about the origin of humans, and their implication for racism. When endeavouring to combine his Darwinist racist beliefs with Christianity, Duke used many of the same rationalizations used by theistic evolutionists to rationalize the plain statements of Genesis. 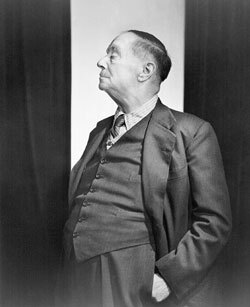 Duke derisively called the ‘creationist belief that God instantaneously created mankind and all of Nature … egalitarianism’, and bemoaned the fact that egalitarianism became the ‘dogma of our times’. He was especially critical of creationism because creationists were egalitarians who teach ‘God made us all the same’. Integral to Duke’s racism is the conclusion that genetics is central to determining a large variety of traits, including even sexual deviance, male/female differences, homosexuality and other traits. His conclusions in this area are similar to those of the early eugenic leaders who played an important role in American history at the turn of the last century, and also in Germany during Nazi rule. Duke discussed in some detail both positive and negative eugenics, implying support for both. Many biological works completed by well-known scientists whom Duke had read have been reprinted by various modern racist groups. For all of these reasons, Duke is very concerned about blocking all egalitarian efforts, especially integration and the push for equal schooling for the races. He concludes that the great challenge is the ‘equality of the races’ question—and that in order to move up the evolutionary ladder, humans have to become smarter and healthier, and cross genetic thresholds that will some day make traveling to the Moon and other feats routine.33 Duke believes that Darwinism and racism are both clearly essential to the future of Western society and, thus, Duke is highly motivated to oppose all egalitarian efforts, and to support both segregation and the ‘advancement’ of Caucasians. Those involved in racist movements are soon introduced to the idea that not only are Negroids inferior, but Jews are as well. Duke, likewise, encountered this issue and dealt with it by studying the ‘applications of evolutionary biology to the development of the Jewish people’.35 He concluded that Jews are inferior for many of the same reasons that Hitler did. This belief partly accounts for his active involvement in the American Nazi party. H.G. Wells, avid eugenicist, Darwinist and writer of such famed works as War of the Worlds and The Invisible Man, inspired David Duke to embrace racist, evolutionary thinking. Duke was also influenced by Count Arthur DeGobineau’s Inequality of the Races—an old work that is still in print and used often by racists.42 Although DeGobineau wrote his infamous classic before Darwin published his Origin of Species, many of the ideas are the same. DeGobineau argues that civilization was ultimately the product of biology, specifically the racial characteristics of its founders. Civilization declined because of the inherent makeup of its founders changed, i.e. their racial quality declined because of ‘racial mixing’. Duke interpreted these concerns, especially those relating to the situation in America, as a result of Afro-Americans and Caucasians mixing. Dawkins’ ‘selfish-gene’ idea, as shown in this statement by Duke, was also critically important. Of the many persons whom Duke lists that influenced his racist views, most were professional Darwinists, including Julian Huxley and George Bernard Shaw.36 He also studied the books of Henry Garrett, former chair of the psychology department at Columbia University and head of the American Psychological Association, and African Genesis by Robert Audry.44 Duke also relied on Sir Arthur Keith’s ‘dynamic’ book, A New Theory of Human Evolution,45 which stressed that not only individuals, but also groups (such as racial groups) are subjected to evolutionary pressures. The books that Duke cited as being critical in the development of his ideas relied heavily upon Darwinism. For example, one of the most notorious racist books in the last century, Putnam’s Race and Reason: A Yankee View,48 published by the prestigious Public Affairs Press of Washington D.C., has a laudatory introduction by Ruggles Gates, Ph.D. and Henry Garrett, Ph.D., D.Sc., Robert Gayre, D.Sc. and Wesley C. George, Ph.D., all eminent Darwinists. 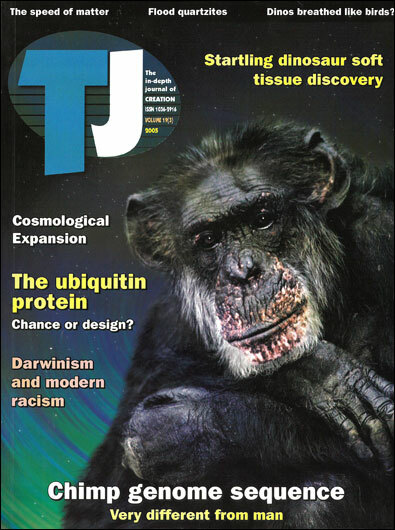 … the racist arguments Duke relies on have all been carefully refuted (and shown to be harmful) by both creationists and evolutionists. It would appear that Duke’s writings on race, which quote many prominent scientists (his autobiography alone lists 45 pages of references, mostly academic) would be very convincing to non-creationists who are conversant with evolutionary arguments. And, indeed, according to the Amazon.com reviews, they are very convincing to many people. Out of one hundred and thirty-eight reviews (the vast majority of books have far fewer reviews), the average customer review was exceptionally high (4.5 stars out of 5). Most reviewers gave Duke’s 1998 autobiography written to defend and justify his racist views five stars, and a handful gave it one star under such headings as ‘inaccurate and bigoted’ or ‘propaganda at its shiniest’. Several reviewers condemned Duke’s ‘science’, not realizing that many of his ideas were taken straight from the writings of highly respected scientists—although many, but not all, were pre-civil rights generation scientists. I wish to thank Bert Thompson for his comments on an earlier draft of this article.